Microsoft – the manufacturer of the RROD-prone Xbox 360 – has confirmed to Joystiq that it's discontinued its policy of providing a prepaid box with shipping label, more commonly referred to as the "coffin," for all Xbox 360 repairs. As of May 26 the policy was discontinued "in an effort to expedite the repair process." Customers will have the option of receiving an e-label to slap on the box they ship their bricked consoles in, but the days of the "coffin" are now over. 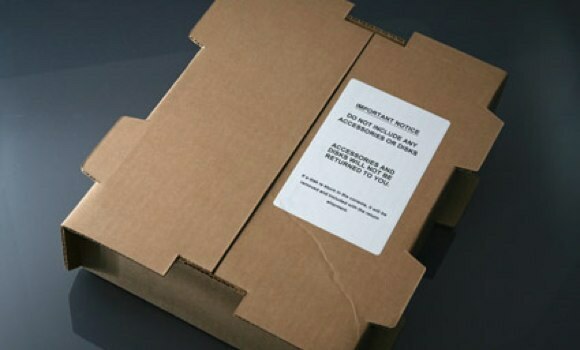 A Microsoft spokesperson tell us, "Customers can now ship their consoles themselves using an e-label provided by Microsoft and do not need to wait for an empty box to be shipped to them." Apparently Microsoft's accountants were getting tired of that budget line item signifying thousands of dollars spent on providing cardboard boxes to the millions of consumers with defective units (often multiple times). We likely should have seen the writing on the wall when we recently contacted Microsoft to find out what recourse customers had if customer service wasn't offering coffins. And you thought you were on your own with a RROD before. Now you really are.